Authorities Monday identified an Orange County man who was killed on Interstate 5 near Camp Pendleton when his Chevrolet Suburban overturned and was struck by another SUV. The crash happened shortly before 3 a.m. Aug. 4 on northbound I-5 past Basilone Road, near San Onofre State Beach and not far from the Orange County line. Guadalupe Hernandez Velasquez, 25, of San Clemente, was behind the wheel of the SUV that veered off the road for unknown reasons and went up an embankment on the right shoulder before rolling over several times, according to the San Diego County Medical Examiner’s Office. The victim was thrown from the vehicle onto the roadway, according to the Medical Examiner’s Office. Shortly afterward, a Nissan Rogue driven by a 46-year-old Tijuana man struck the disabled Suburban, California Highway Patrol Officer Mark Latulippe said. Passing drivers stopped to assist the Suburban driver, who was found unresponsive outside his vehicle on the right shoulder, Latulippe said. 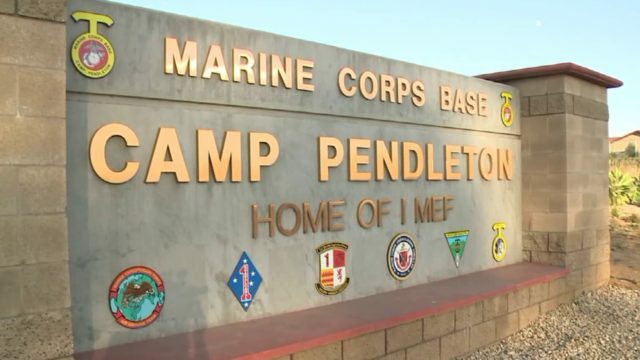 Emergency personnel from the Camp Pendleton Fire Department pronounced him dead at the scene. Drugs and alcohol were not considered to be factors in the crash, Latulippe said.